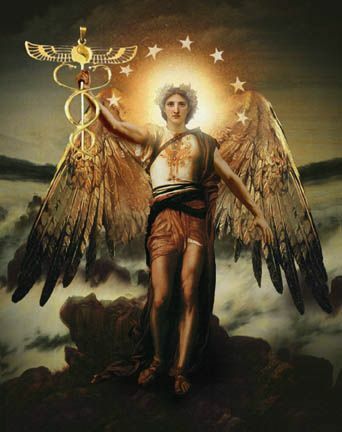 To honor Hermes, we would like to inspire our creative readers with the lore and wisdom of The Caduceus. 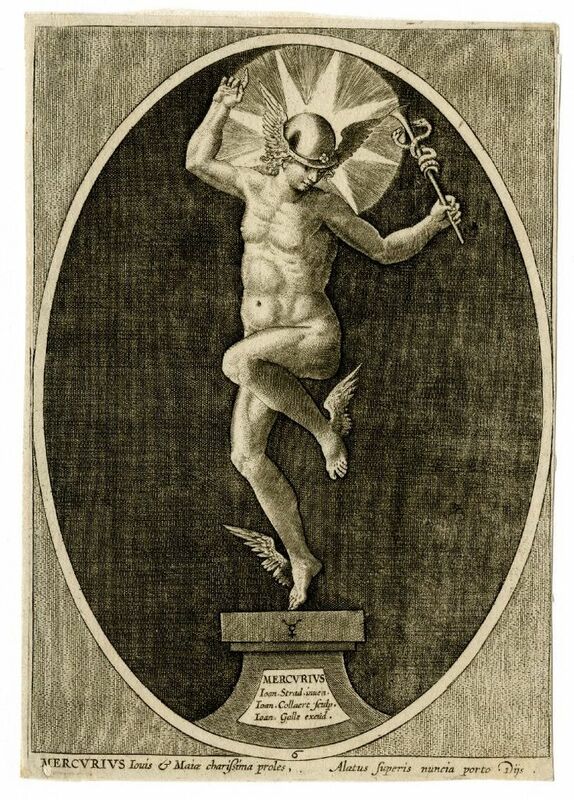 The caduceus is the staff carried by Hermes in Greek mythology. The same staff was also borne by heralds in general, for example by Iris, the messenger of Hera. It is a short staff entwined by two serpents, sometimes surmounted by wings. 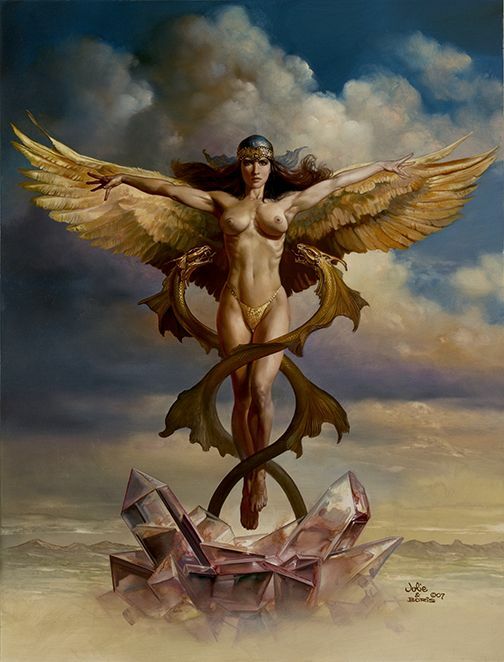 In Egyptian mythology, Hermes is known as Thoth or Tehuti. 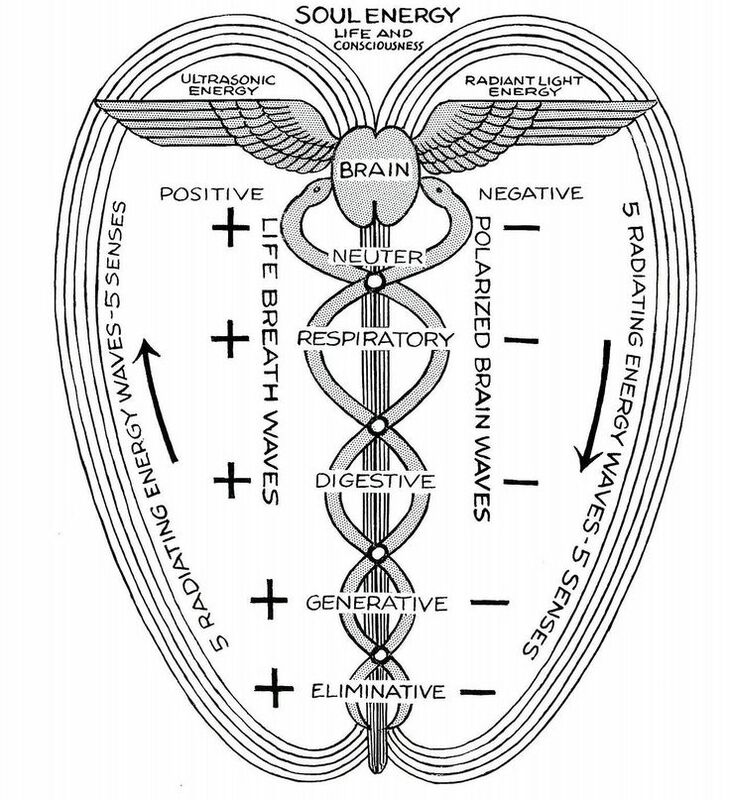 All in all this is the energy of communication, healing, and in the Caduceus we find many keys to ascension and evolution. The spiral effect indicates an expansion of knowledge, and the undulating dance of cosmic forces. 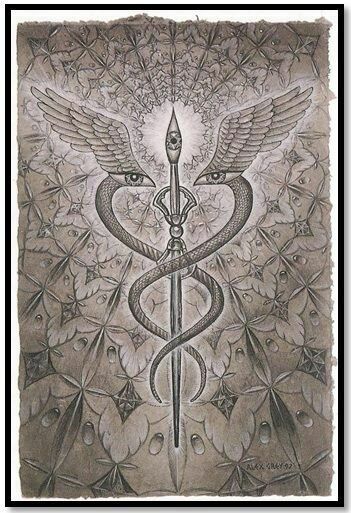 The double snakes of the caduceus represent duality and the unification of polar opposites; balance. If you take it a step further, you notice the dual intertwined snakes form a double helix DNA strand. 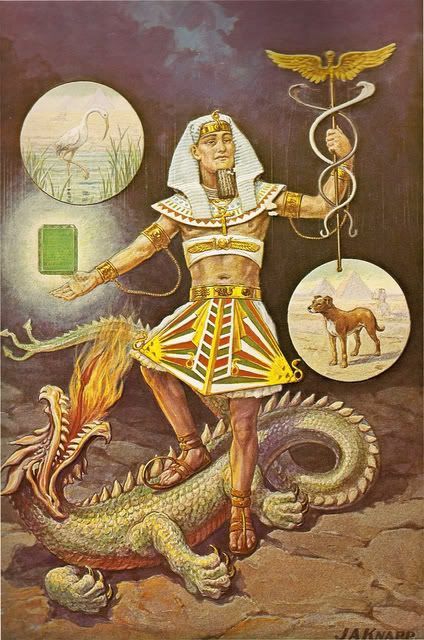 The two snakes in eastern mythology represent a force called kundalini energy. One snake representing feminine the other masculine. The staff itself represents the spine, also known as the shushumna nadis and the serpents are said to lay dormant at the base until they are awakened. 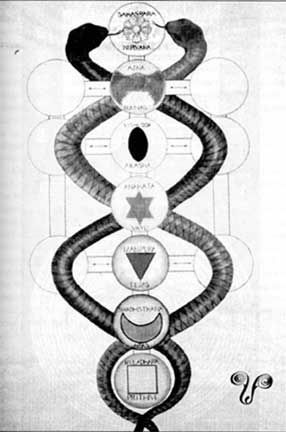 The pure life force energy of kundalini is a restorative and transcending one. 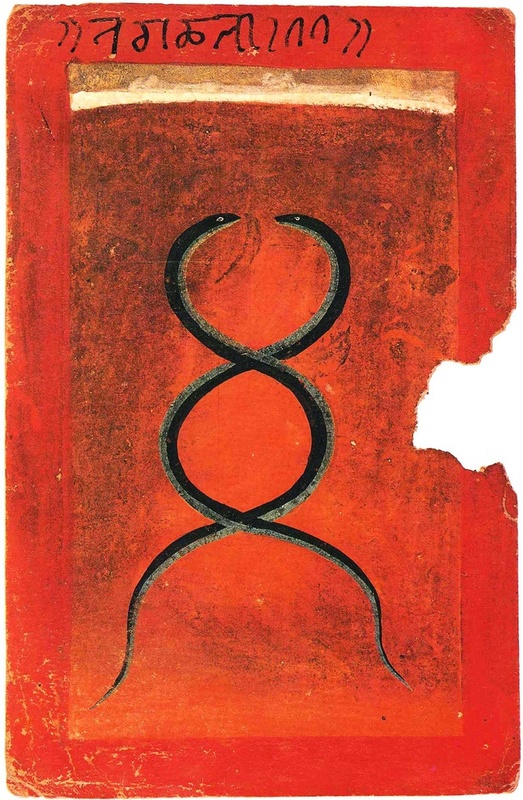 Tantra Manuscript A Basohli painting collected in Rawson’s The Art of Tantra. A Pair of Snakes. A ca. 1700 caduceus. Get inspired by this knowledge, search deeper, create! If this interests you, check out our post on sacred geometry!